Think beyond corporate swag or off-the-shelf gift baskets. Whether your objective is celebrating employees, nurturing clients or thanking partners, Knack’s business gifts generate proven ROI through engaging, memorable gifts backed by personalized concierge experience. Have a long list of corporate gifts to send? Need support with a major product launch or ongoing employee retention program? Contact us to learn about our deep business gifting technical capabilities through Knack Select, our premier business membership program. Whatever your need, we’ve probably done it before! Best of all? It’s easy. Click here to learn more or contact a Knack account specialist to join Knack Select. Just want to explore Knack's business gifting options on your own? Download our Knack For Business presentation, view our customizable gift collections, or try out our Gift Builders to get started. Don’t miss your free copy of the 2019 Business Gift Satisfaction Report. Know a female coworker who’s turning in her keys and taking off for a sunny, long-awaited trip around the world? Or maybe launching that great new business idea she's been percolating for years? See her off in style with these 5 suggestions for personal, custom retirement gifts that are perfect for professional women. Generally when you’re giving a gift, the “who” is the easy part, but that’s not the case on Administrative Professionals Day. In a modern, technology-assisted work environment it can be difficult to determine who’s considered administrative staff. Employee gifting can play an important role in employee retention in a tight labor market, which is why US businesses will spend upwards of $40B in employee gifting this year. The key finding is that the more memorable and personal the gift is, the more appreciated and connected the employee feels to the giver. In our 2017 Knack Business Gift Satisfaction Report, we uncovered a surprising golden nugget of wisdom — 83% of respondents said that they prefer “unique and useful” products over gift cards. That tells us that cash is not king, baby. A wrapped box, given with a smile: why does this hold so much power? Gifts are not just objects. They forge lasting and meaningful connections between you and another person and they can enhance a relationship with a client or employee. Why is a simple pen, a leather-bound journal, or a bottle of wine such an important part of your business connection? Social relationships revolve around gift-giving, and the social glue created between giver and receiver is what allows our relationships to grow. Givers bring something of themselves to the gift-giving experience, and recipients feel the need to reciprocate, creating a mutual interdependence between the giver and the receiver. Giving meaningful business gifts builds connections between you and your leads, clients, partners and employees. It is a complex dance of give and take that occurs daily in the business world as relationships are formed and nurtured. Formal cultural gifting practices have occurred for thousands of years, strengthening cultures around the world. Discussing formalized structures of gift-giving, sociologist Michael Mauss stated that “Each gift is part of a system of reciprocity in which the honour of giver and recipient are engaged.” Stepping out of that reciprocal relationship can mean that you lose honor: in Polynesia, failure to reciprocate leads to a loss of mana, the spiritual source of authority and wealth. Since the advent of trade, people have given gifts to each other to solidify business relationships. Gift-giving has been used to sway the other person in the trading relationship. If you gave an extra sheep to your neighbor, that person might throw in some extra woven cloth in return. Gifts specific to the mass promotion of individual businesses came about a lot later. According to Branding Mag, "The first known example of promotional products being used purposely was in the US, using commemorative buttons." This happened in the good old days of 1789. In 1904, mass production of promotional gifts had begun in earnest, and the Promotional Products Association International was born. Between the 1950s to the 1970s, businesses became even more enthusiastic about business gifting, and promotional products pushed into the mainstream. Today, business gifting is a 90-billion-dollar market in the US alone. Businesses have become more than a part of the community - they have become part of the giving culture of that community and a source of free gifts with purchase or branded promotional merchandise. Gift-giving isn’t just about buying an object and handing it to someone else. It involves several processes. According to Mauss, the three steps are giving, receiving, and reciprocating. As a giver, you take the first step to create and maintain a social relationship. When the recipient receives the gift, that person says yes to the social bond you are creating. Finally, the recipient reciprocates to demonstrate that individual’s ability to give and sustain that social connection. A gift says as much about the receiver as it does about the giver. 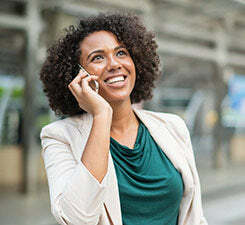 In a series of studies, researchers found that people think they prefer recipient-focused gifts – those gifts that reflect the qualities of the person who will receive it. However, it was actually giver-focused gifts that brought people closer - gifts that reflect who the givers are. It seems there’s greater meaning in a giver-focused gift. Studies have also shown that gift-giving activates the areas of our brain connected to social attachment, Scientific American states that being generous with your time and your gift-giving pays off. It not only makes your recipient happier, it also makes you happier. Similarly, gratitude makes the recipient feel good as well. Gratitude isn’t just about saying thanks: according to Shawn Taylor at The Greater Good Science Center, "You appreciate what’s been done to or for you, you appreciate the person or thing for providing you with the assistance or experience, and you recognize how the thing has made your life better, even if it is just for a moment." That skill of appreciation is essential to survival and essential to thriving and growing in relationships with others. Additionally, the science behind gift giving concludes it is all about the relationship. Gift giving can nurture and foster a relationship. In business, creating and keeping relationships is the backbone of success. Business gifts can act as a tool or a bridge to strengthen the relations of the internal and external people related to your company. The tradition of business gifting over the years has ebbed and flowed from those first sheep given to the neighbor to the aprons given away as branded promotional products in the late 1800s. Today, there are more occasions to give gifts. While there have always been seasonal holidays and business milestones such as retirement parties, today you can gift for many different reasons. Gifts help you retain your employees and giving a well-chosen book to a new hire or an award to an employee who’s put in an extraordinary effort is a way to express a devotion to that business connection. Giving also cements all levels of business relationships, from closing business deals to colleague gifts. For example, Secret Santa and other types of fun, casual business gifting has become the holiday norm. When you’re marketing, giving is also part of the marketing menu. If you’re giving out promotional products, they’re ubiquitous, so your challenge is to stand out and make the recipient feel amused, valued, and otherwise emotionally connected. Are you launching a new product? A free gift with purchase is a way to sweeten the introduction. Are you reaching out to an influencer? Providing samples of your products allows that person to try out those products and gives them an incentive to speak a little more sweetly about your company. Are there any guidelines to these traditions that have remained stable over the years? Yes. Give to everyone. Whether you're giving to a client or an employee, your gift-giving needs to feel inclusive. Your clients need to know that you value them, and the business partners you work with should feel valued - from the front-desk staff to the C-Suite. Be generous. While you don't need to give every customer a high-end gift, make sure that your gift makes them feel valued. Give it with a personal thank you for being a customer. Make it valuable. Early printers developing the first promotional products knew that giving a free bag that would be used as a school bag by children was a savvy plan. People found the bags valuable, and they used them frequently and marketed the company at the same time. Stick with tradition: don't give a gift that people will want to give away. Give a gift that your employees, customers, or partners will use again and again, thinking of you as they do so. The business gifting season now extends from November to January as businesses strive to be more inclusive and try to ensure that their gifts will make a splash when they land in your mailbox. Business gifts are no longer just for holidays either: they can be given for significant milestones all year round. Business gifts are no longer for the man in the corner office. They’re for everyone. And as companies consider what to give, they need to think about religious and gender inclusivity. Today’s gifts have personality and range. They’re not one size fits all. You don't want to send the wrong message when you're giving a gift. Business giving blunders can be particularly cumbersome to your company and image, and you can find yourself apologizing when you should be basking in the pride of a well-chosen gift. There are a few unspoken giving rules to follow to ensure your gift has the intended message and brings you together with employees or clients rather than pushing you quietly apart. Know the rules. Make sure that your business connections can actually accept your gift. Give equitably. Think of everyone, not just those who have the most important titles. Show personality, but be careful about humor. Make sure you’re not discriminatory. In this #metoo era, it’s best not to give anything like flowers or any gifts that would be worn close to the body, such as jewelry or perfume. Be inclusive. Think about others’ personal preferences. For instance, a bottle of scotch might be welcomed by some, while others who avoid alcohol for religious or personal reasons would find it inappropriate. Make it meaningful. A gift should make a statement, and that statement shouldn’t be "You’re not worth much to me." You don’t need to send an expensive gift, but what you do send should be high quality. You're the giver. But who is receiving your gift and what is the reason? There are many occasions that call for business giving, and many opportunities to enhance your relationships and promote your company image. New hires: These gifts say, "thank you for joining us." You’re delighted to have a new employee on your team - show this delight with a gift. Seasonal gifts for employees: Whether you give a gift for the holidays, at the end of the fiscal year, or to celebrate National Ice Cream Day (that's July 15th, by the way), you should have a regular way of appreciating your employees through giving. Employee milestones: What big events do your employees have to celebrate? As employees celebrate a work anniversary, a promotion, or retirement, a celebration is called for, and this often involves a gift. These gifts should be more substantial in value than a regular seasonal gift. Company milestones: Thank your employees for their contribution to your success. Whether it’s a product launch or a celebration of your company’s 20th anniversary, recognize that your employees have helped make your company a success. Personal gifts for employees: A death or birth in the family, a wedding, or other personal achievements or challenges call for an even more personal gift for your employees. Retirement: Give a gift that acknowledges this most important of transitions - this is the time to be personal and meaningful. Seasonal gifts: Giving an annual gift in December is an opportunity to stand out - and what if you decide to give that gift in August instead? That will only add to the "wow" factor, as it’s unexpected. Partnership gifts: For your business partners and colleagues. These gifts celebrate your new or renewed connection and solidify your business relationship. Transactional gifts: These gifts can celebrate a milestone for your client relationship. Whether it's a real estate client who's just purchased their first home or a thank you for joining in partnership, when you complete an important transaction, you can give your client or partner a personal thank you. Gifts that are about you: While your gift should be meaningful to the recipient, take a few moments to thank your partners and clients at times that are important to you, such as the launch of a new product. 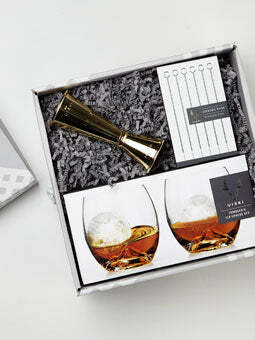 Anniversary gifts: Celebrate milestones for your client or partner relationship. These gifts should let your clients know that you really care about them as people: they're not just business to you. Personal milestones: Show your clients and partners that you know them by sending them a gift on their important day, such as a wedding or the birth of a child. Your gifts are a window into your personality and image that can be enchanting and intriguing for clients and colleagues alike. Remember, this is your chance to enhance a relationship. If you want to delight, influence, and impress your business clients, colleagues, and employees, what should you do to make your gift valuable? Make it unique and personal: Business gifts do not have to be off-the-shelf gift baskets. No matter the occasion, a customized gift can be a great solution. For example, if your real estate client is looking forward to cozy family time, send the raw materials for S'mores or a package that's designed to create the perfect pancake breakfast. Your gifts should take the time to evoke the emotions surrounding an experience. Unwrapping and the anticipation of an experience is more meaningful than unwrapping something that’s just an object. With your personal note, you can let your client know why you chose that gift for them, and they’ll treasure that story. Give from your heart, your sense of humor, and your delight: You have a choice when you're giving a business gift. You can think of what others would love and give them that, or you can think of what you love and bring that piece of yourself to your gift. According to the Journal of Social Psychology, the surprising fact is that in multiple studies, "Even though people thought they preferred recipient-focused gifts, it was actually giver-focused gifts that brought people closer." Make it a luxury, even if it's small: Psychology Today suggests that you purchase "Something that the person wants, but would never buy for him- or herself." For the colleague who adores dessert, you could get ice cream sauces and accessories or refreshing biscuits and tea. This is your challenge as a giver: to create the right combinations in the right package, with a message that shows you care. The knowledge that your client's interests and preferences mean something to you - they're something that you've noticed. The understanding that your client is important enough for you to spend time planning for this gift and making it the best one for that person. 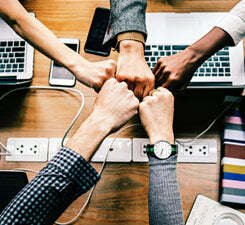 A feeling of being nurtured and connected to your business. While giving a gift has a cost, the connections that come with it can be priceless. We've all had personal gifts fall flat. However, as a business gift-giver, you can't afford to make that mistake with your employees or clients. What should you avoid when you're looking at gifts representing your business? Gifts that say, "We don't really know who we are." Your gifts should show your corporate values, your image and your brand. If you love high-quality items and you want to portray a comforting business persona, a knitted wool hat, some unique teas, and a pottery mug is a cozy gift. A cheap scarf with the company's logo on it might be warm, but it doesn't portray the same values. Gifts that scream, "We're cheap and we don't care." It's frank but it's true. Your gift should show the care that you put into each and every detail of your business. If you don't put a lot of thought into your gift, then your employees or your clients will see that and not feel valued. Gifts that confess, "We don't actually know you." If you give the same bottle of wine to all employees, even though some of them don't drink wine and others are whiskey connoisseurs, you won't hit the mark with many. Worse yet, this is a confession that you haven't put the time and thought into creating a personal connection with those employees or clients. How do people give and receive in different parts of the country? In addition to the demographic differences, there are also geographic differences to be considered. Business Insider states that the US actually has 11 different “nations” with very different cultures within them. How do these cultures affect your business giving? In the East, business and speed dominate the culture. Your gifts should be valuable, not tacky - Easterners don’t want to spend time trying to figure out what to do with your gift, but they will very much value a personal gift that immediately fits into their lifestyle. In the South, people love their place. They’re welcoming, hospitable, and often more conservative than other parts of the country. Your gifts should be as wholesome and welcoming as the people of the South and be personal while not too off-the-wall. The Midwest often feels neglected on the national political scene. Giving a local flavor to your gifts and an acknowledgment of the uniqueness of the people and their values will go a long way. In western states such as California, there’s often a laid-back and fun-loving feel. Make sure that your gifts are inclusive of many different beliefs and don’t be afraid to be unique: this is the place to show how you stand out. What about the return on investment for business gifting? How do you find the right gift? Creating a solid relationship with clients and business associates is invaluable. It's the best return on investment possible. It's not about price. Of course you have a budget, but the emphasis needs to be on finding the right gift, not the right price tag. Small or large, the gift should be focused on crafting your relationship, not on the exact amount that you spend. Think back to the science behind gift giving and the relationship. Unboxing a gift is an experience in itself as well. A fashionable gift should be aesthetically pleasing. At the same time, your business brand and logo should be included in an eye-catching way; the packaging is a great place to add a personalized touch. Spotlight your business logo on the external name card of the box, the name card of the origami envelope, and on the message card. Take care of the details. Have you ever been in awe of the thought that went into all of the finer details of a gift? These fine details are what we crave, yet it's so hard to achieve the perfect pairing of gifts and the right details that make the gifting experience complete. Don’t forget the C-suite. Yes, it can be intimidating to give a gift to “the person who has everything,” but often they are neglected when it comes to personal thank you gifts. Make sure that your C-suite partners are acknowledged and feel valued as well. Always add a personal message. Keep it simple, express your thanks, and explain why you’re giving this gift. This gives recipients the story behind the gift and invites them to extend the story and your relationship as they use it. Business gift-giving should not be a chore. But all too often, it's one of the last items on your to-do list. Finding the right gift can be challenging. The ideal gift will create emotions and lasting memories, and it will also represent your business brand perfectly. If concerns about choosing the wrong gift are holding you back, why not take advantage of the expertise and knowledge of those in the industry? Using a personalized concierge service or gift consultant can make the process easy, and the best part is, you'll have confidence that the gift you give will be appreciated. Citing the studies on how gift-giving activates the areas of our brain connected to social attachment, it was shown that being generous with your time and your gift-giving pays off. It makes your recipient happier, and it also makes you happier. You and your gift recipient will both see the world as a better place. That's an investment worth making. Do you need help finding the right gift for a colleague or a client? At Knack, we know that it can be hard to find the perfect gift. That's why we're your gift curators. We've created gift boxes for your employees, thank you gifts for your clients, and so much more. Find the gift that expresses who you are and sends a message that connects you to clients and colleagues and do it without ever having to leave your office. Discover how you can transform the way your business gives. Giving a business gift can be as rewarding as it is challenging. It's a statement of connection, but it’s often time-consuming and hard to execute. So for many, gifting becomes the last item on their very full plate, especially when gifting occurs around the holiday season. How can you master the art of gifting so you become the company whose gifts lead to smiles, positive feelings, and an increased connection between you, your employees, your clients, and your partners? By paying attention to the basics: your core values, the message you want to send the receiver, what you’re celebrating and when. Business gifting is not as simple as the act of purchasing a gift. It's about intention and the ability to create a connection with the recipient. The gift experience should connect the buyer with the recipient in an emotional way that lasts. Interestingly, it appears that the more the gift reflects the buyer, the more important it is to the recipient. By sharing a piece of yourself with the recipient, it connects you in a stronger relationship. So what does it mean to share a bit of yourself with your gift recipient? First, the gifts should reinforce your brand values. For example, if you’re an outdoor equipment supplier, perhaps your gifts should be sustainably made. 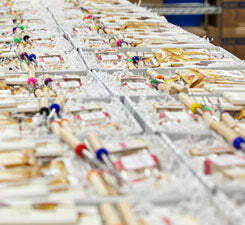 Or if your company prides itself on its support of the local community, giving items made locally would be appropriate. Second, the gifts should reflect your company personality. You wouldn’t expect the gifts from a patent attorney and a major toy manufacturer to have the same vibe. Finally, share the story behind what you’ve chosen to give. If what you’re giving is the CEO’s favorite, your recipients will want to know that. Or if the gift hints at your upcoming marketing campaign, your recipients will be flattered to be the first to know. When you explore the psychology of business gifting, you'll note that gifting has been a feature of cultures around the world for thousands of years. Giving wealth and objects has been a part of formalized gift-giving structures that act not just as an opportunity to give and receive, but as a chance to build deeper community through the social connections that develop as a result. Your employees: Meaningful employee gifts celebrate their personal milestones in addition to your company’s milestones and holidays. Because engagement leads directly to employee retention, meaningful employee gifts can be an important tool especially in tight job markets. Your clients. Client gifts reinforce the connections you already have, building customer retention and referrals. Clients respond most favorably to being acknowledged as individuals rather than just one of many. Your partners. Whether they've helped you build your website or have co-created a business with you, you acknowledging these important relationships is both a celebration of current success and an investment in the future. Remember the C-Suite as well. While it might seem daunting to give to “the person who has everything”, the data actually shows that higher up a person is, the more likely they are to state that their gift is meaningful. Whoever receives your gift, make sure you avoid awkward interactions. Whatever you give must fall under your company's, as well as the recipients’, restrictions on giving. That way, you'll both avoid the social awkwardness of giving and receiving a gift that must be returned or handed-in rather than enjoyed. For your employees, work milestones are meaningful. When employees get hired, promoted, or retire, celebrate the milestone with a gift of welcome, appreciation, or farewell. Employees also appreciate receiving a gift when the company achieves a milestone they helped create. These gifts can create a strong sense of pride and belonging among teams. Finally, giving a personal gift to your employee(s) for personal events such as a birthday or after the birth of a child will let that person know that you think of him or her as a whole person, not just as an employee. Celebrate along with your employees and you'll grow your connections with them. For your clients and partners, giving at holidays is always appreciated. In addition, celebrating milestones year-round with your clients and partners or giving a gift just because you found something that was so valuable you had to share it are also effective because they fall outside the usual end-of-year corporate gift routine. And just as you would with employees, get personal and let your clients and partners know that you're paying attention: gifts to celebrate their personal milestones such as weddings or the birth of a child show how much you value their relationship. The Landing: When Should Your Gift Arrive? Does it matter when your gift is actually presented to the recipient? The short answer is 'yes'. Timing can set the stage not only for surprising your clients or business associates, it can also play a role in creating delight. You're unique and you don't follow the trends. You focus on giving value when you know it's needed, not when it's socially expected. You really consider your clients' needs when you give a gift. For instance, an annual gift on the anniversary of your client relationship or on an anniversary that's important to your client will be far more meaningful than a gift given only during the winter holiday season. You want to stand out and focus on your relationship with that client. As an example, if you get flowers on a date, it could be perceived as ordinary and cliché, even though it's sweet. However, if you receive a bag of artisan sour cream and onion chips that you've been craving, it shows that your date has listened to you and cares about what you really want. The same goes for moving into an ongoing relationship with your clients. Make sure that whenever you give, you focus on building the relationship, not on rote and formalities. The holidays are still a good time to celebrate the year and share your success with clients and employees. But avoid having your gift arrive at a business address between December 17th and January 3rd when many people choose to be away from the office. In fact, to gift during the holidays but still have your gift stand out from the crowd, you might choose to mark the start of the new year with an annual gift in January or be the first to celebrate the holidays with a gift arriving before Thanksgiving. Whether you're giving to the employees at one of your collaborators' companies or you're giving to all of your real estate clients, avoid the temptation to be boring and predictable. Add a personal message. According to the 2018 Business Gift Survey, "Less than half—only 47%—of business gift recipients report that their gift included a personal message from the giver." A personal message can make a gift more memorable; a message shows connection and makes the gift feel as if it was chosen specifically for the recipient. Make your gift an experience. Research shows that people remember experiences far longer than they remember things, so attach your gift to an experience in the recipients’ minds by conjuring an image for how they’ll enjoy it. For example, explain that the pantry items you’ve selected are for Sunday Morning Brunch, or a Backyard Barbeque Party. Connect your gift to a story. Let the recipients know the story behind the choice of the gift. Why did you choose it especially for them? That story will replay in their heads as they use that item again and again. Be culturally sensitive. Know that there are many celebrations that happen during the winter season. Consider the beliefs and habits of those you give to when you create your gifts. Focus on the presentation. Unwrapping a gift should be an experience, and the gift should feel luxurious when it is opened. Make sure that you're not overly corporate. While logos are great on your marketing material, your gift is about appreciation, not marketing. According to Entrepreneur, "The gift you are giving is not about the gifting company, it is about thanking the people with whom you have a business relationship." Put the logo on the package, not on the gift. Make it useful and meaningful.. The gift should be something that your recipient will use and value, not something that feels cheap. Push over the individual's usual edge - if your recipient is a chocolate-lover, choose a deluxe brand of chocolate that he would rarely buy for himself. At Knack, we know that curating your gifts can be time-consuming and difficult. That's why we're here. We love to connect people through gifts, and we want to get to know your company. Create gifts with us and build more meaningful relationships between you and those you work with. Learn more about Knack today. Think outside the corporate gift basket. Whether you’re an admin tasked with buying company gifts for staff appreciation and employee recognition, an entrepreneur nurturing new partnerships with executive gifts, or somewhere in between, Knack’s business gifting program will help you build your brand through engaging, memorable gift boxes and a personalized concierge experience. Our collection of unique corporate gift ideas can be tailored for every type of occasion and recipient, so you can confidently send thank you gifts or end-of-year gifts to your professional contacts with ease. Knack offers a one-on-one consultation with an account specialist to help you create the gift that perfectly represents your brand and the relationships you share with your customers, colleagues, and employees. We’ll work to understand your business needs and assemble gift ideas based on the information you give us, tweaking and adjusting until you’ve created a personalized client gift that will always make them think of you. Do you have a long list of corporate gifts to send? Does your company take pride in sending thoughtful employee appreciation gifts and memorable client thank you gifts? Perhaps you simply need an extra-special touch when it comes to building the perfect business gift box to represent your brand. If so, consider joining Knack Select, our exclusive program for corporate gifters. Members will enjoy Knack’s free concierge service that includes curated gift suggestions, free logo placement to showcase your brand, and a free sample kit so you can experience Knack’s unboxing for yourself. We provide assistance with your order every step of the way, and make it possible to ship gifts to multiple addresses, brand your packaging, and create a unique gift for every recipient. Best of all? It’s easy. Click here to learn more or contact a Knack account specialist to join Knack Select.